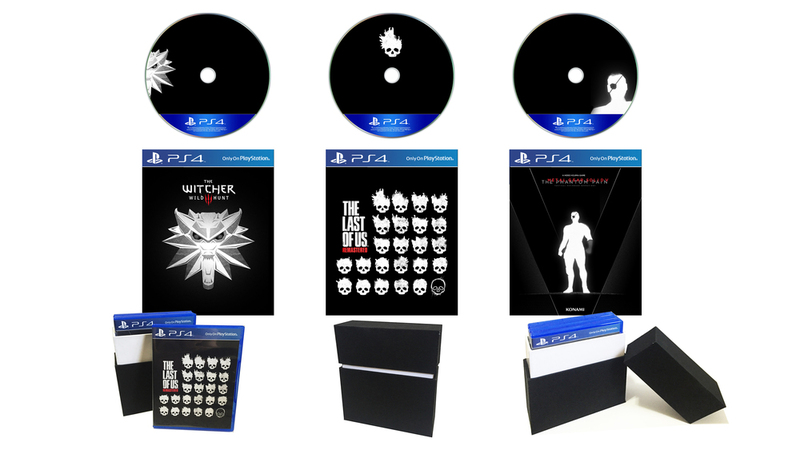 The PS4 Black box was a project where I created a box set of three of my favorite titles of 2015. The goal was to create a cohesive set that allowed these very different games to stylistically and aesthetically sit together in the same packaged experience. The box was crafted to be similar to the PS4 and also sleek and subtle. I created custom cover art for these games to emphasize the uniqueness of the box set, and to really make this set feel like a collector item.